SoundCloud kept afloat by a $70m bank loan | What Hi-Fi? SoundCloud says this latest round of debt funding will help the streaming service meet growth targets this year. The sun might be out, but the forecast for SoundCloud is looking decidedly unsettled. The streaming service has had to borrow $70m (£56m) from a range of financial institutions in order to stay afloat, Business Insider reports. 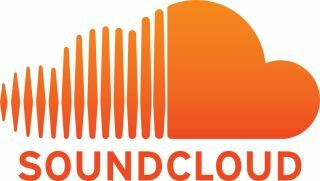 According to documents filed with Companies House, SoundCloud raised the money from Ares Capital, Kreos Capital and Davidson Technology Growth Debt Fund on 10th March. In a statement, SoundCloud said the money would help it meet its projected growth target. "We are pleased to have secured a flexible $70m credit line that is ideally suited for a company with our strong credit rating and in our stage of growth," the statement reads. "This new funding will enable SoundCloud to strategically grow our technology and personnel resources to fuel our expected 2.5 times year-over-year growth in 2017, while building a financially sustainable platform on which our connected community of creators, listeners and curators can thrive for years to come." SoundCloud previously raised funds in June 2016, when it raised $100m (£80m). Before that, it raised $35m (£28m) in January 2016.